A Pensacola man charged with organizing dog fights in his backyard has been sentenced to 10 years in state prison, according to a news release from the State Attorney's Office. 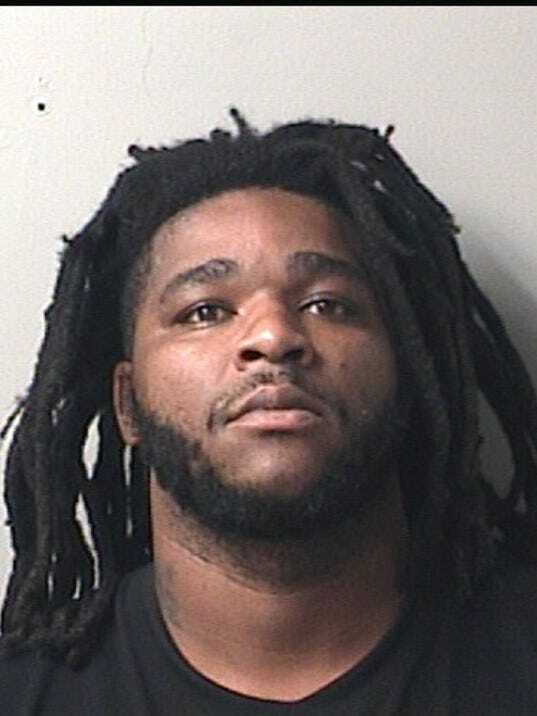 Kawaun Smith, 27, was charged with possession of a firearm by a convicted felon, four counts of fighting or baiting animals, six counts of confinement of animals without sufficient food, water or exercise, and possession of controlled substances. According to the release, Smith pleaded "straight up" to the court in July, meaning he waived his right to a trial and allowed a judge to decide his sentence. On Thursday, Circuit Judge Jennie Kinsey sentenced Smith to 10 years in state prison. According to the release, on Aug. 18, 2015, law enforcement was notified of an active dog fight taking place at Smith's residence. When deputies arrived, they observed several individuals on the property and multiple dogs, including several that were seriously injured. Animal Control Officers were called in to provide care for the animals and assist in the investigation. Three dogs had fresh injuries indicating they recently had been involved in a fight. Six other dogs also were removed from the property, and two of those dogs had injuries indicating they had been involved in prior dog fights. Evidence found on the property indicated this was an organized fight that took place in a shed in the backyard, the release said. None of the dogs had food or potable water available. A search of the home was conducted, which revealed three firearms and narcotics. The investigation was conducted by the Escambia County Sheriff’s Office and Sgt. Stephanie Nowlin with Animal Control. The case was prosecuted by Assistant State Attorney Cierra Burns. Smith was represented by the Office of the Public Defender, according to court records.